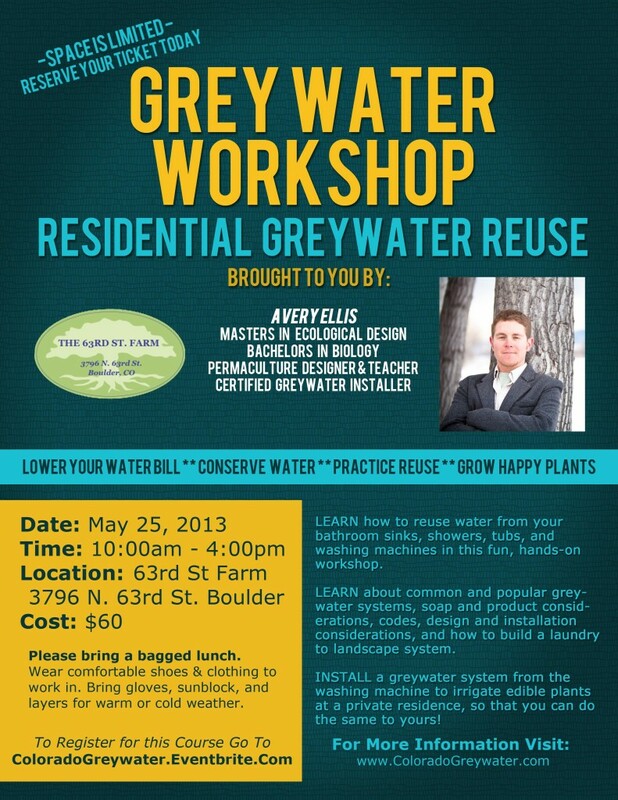 Are you interested in Greywater Reuse in Colorado? Join us on June 24th in South Boulder at this incredible Permaculture in Practice Workshop. This workshop is offered on a sliding scale ($60 suggested donation) and nobody will be turned away! LEARN how to reuse water from your bathroom sinks, showers, tubs, and washing machines in this fun, hands-on workshop. LEARN about common and popular greywater systems, soap and product considerations, codes, design and installation considerations, and how to build a laundry to landscape system. INSTALL a greywater system from the washing machine to irrigate edible plants at a private residence. Take home the resources to install your own! SPACE IS LIMITED TO 10 – REGISTER NOW TO RESERVE YOUR SPOT! This entry was posted in Uncategorized on June 4, 2018 by greywater. The Colorado Rainbarrel Bill (HB16-1005) is now on the Governors desk, to be signed into law on May 12th 2016!!! 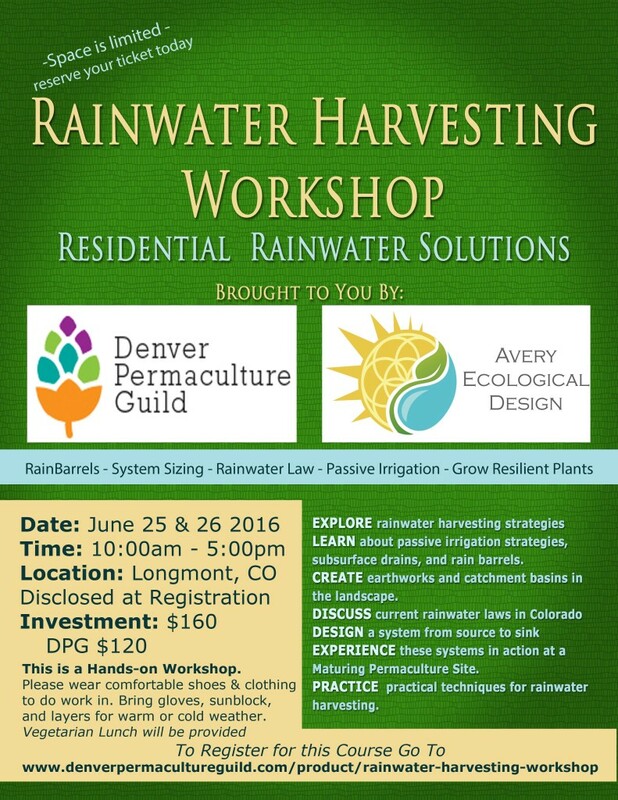 Its time to Celebrate this huge shift in Colorado water law – Join us for an in-depth look at Rainbarrels, Swales, French Drains, and other Rainwater Harvesting Techniques in this hands-on workshop June 25 & 26th. Registration can be found at the Denver Permaculture Guild Now is the best time to Plant the Rain so you can grow healthy Food!!! This entry was posted in Uncategorized on May 5, 2016 by greywater. Great News Colorado! 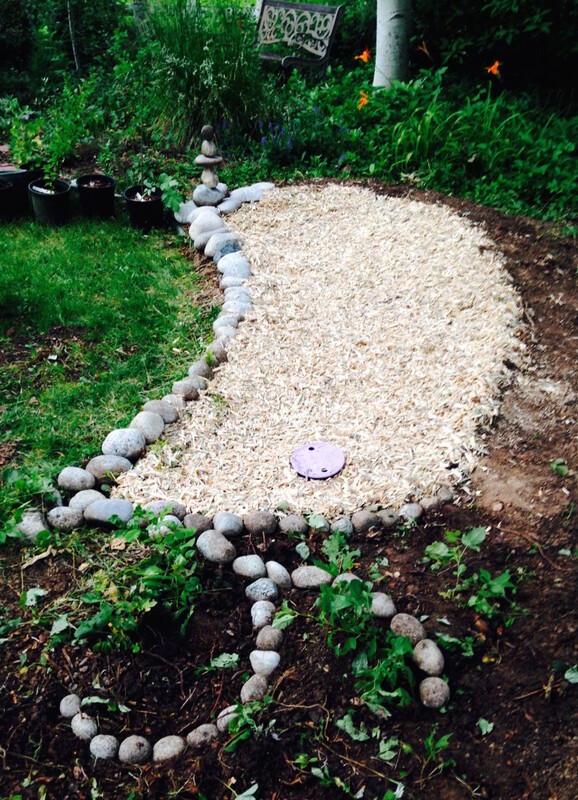 As of December 30, 2015 the new Greywater Regulations come into effect! So, what does this mean for us? This means that we can begin to design & install systems, which comply with the (Regulation 86) guidelines laid out for Colorado. Before installing your system, check in with your local building department to make sure that they are adopting these minimum standards. Some counties may require permits or inspections, while others may allow simple systems. Since each bio-region is unique, local governments have the choice to adopt these guidelines or further restrict them. This means that WE NEED YOU! Water Warriors who want to see a new standard for water use in Colorado. Design your system, call your local building department, and start to re-use this precious renewable resource! Here at Colorado Greywater LLC, we have been working hard for the past 3 years to ensure that these regulations were inclusive of simple and affordable greywater systems as well as large scale institutional systems. Contact us today at ColoradoGreywater@gmail.com to schedule a consultation, register for a 2016 workshop in your area, or to buy your greywater parts!! This entry was posted in Uncategorized on December 29, 2015 by greywater. Hello Concerned Citizens of Colorado! I support the efficient and practical graywater solutions laid out in Regulation 86. I want to encourage my local county and city to adopt this law with minimal restrictions, and I believe that “mulch basins” provide the most ecologically robust solution for dealing with graywater irrigation. They are practical, affordable, and can utilize gravity to convey the greywater to the landscape without the oversight of complex engineering, pumps, or filters. I plan to use my laundry machine to irrigate my landscape and would like to see a simple permit for those types of simple systems. I also believe that the best beneficial use of graywater is for watering fruit and nut trees, and other plants where the edible part does not touch the soil or water directly. I have never heard of anyone getting sick from an apple on a tree where graywater was used for irrigation, and scientific research supports this approach. For toilet flushing systems, I would like to see less restrictive rules for decontamination, since this water will be used for flushing waste. I support the adoption of Regulation 86 and would like to see these rules become less strict, so that we the people can utilize ecological solutions for our land and the environment. Thank you for your time. If you want to learn more about greywater, how it can be used, and why it matters, check out Colorado Greywater and stay tuned for our upcoming workshops, services, and events after this law is finalized. This entry was posted in Uncategorized on April 3, 2015 by greywater. 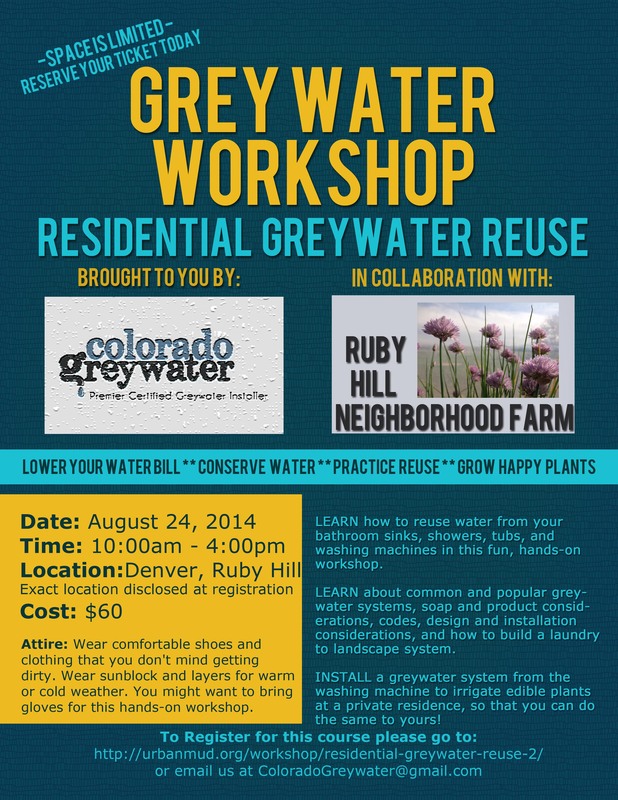 A great opportunity to learn about Greywater systems right in Denver on August 24th! This entry was posted in Uncategorized on August 4, 2014 by greywater. Join us for this event to learn how to lower your water bill, conserve water, practice reuse and grow happy plants. We will be installing a Laundry 2 Landscape Greywater system, so come prepared to get hands on experience while learning all about greywater reuse! Click HERE to REGISTER for this event online. This entry was posted in Uncategorized on April 19, 2013 by greywater.